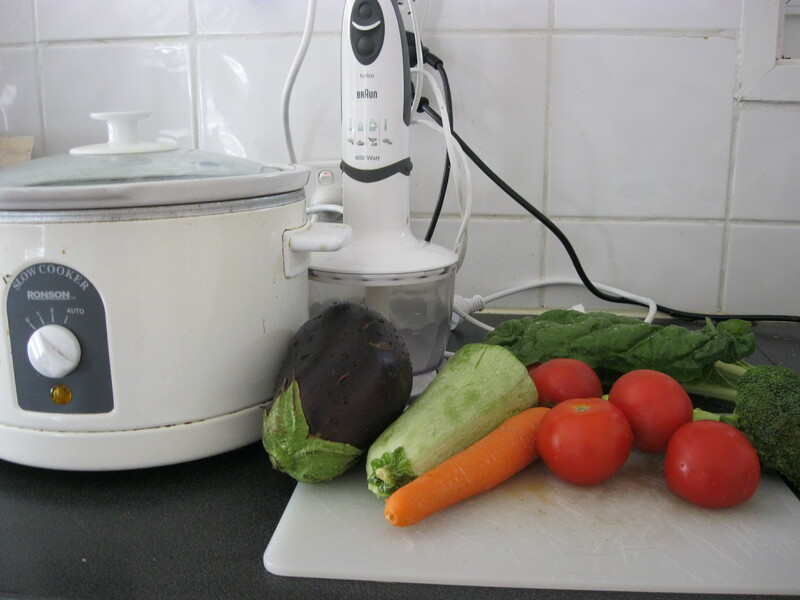 I always like to have a vegetable tomato sauce in the freezer to add to meals or to create something quick and easy. I make a big batch when I find tomatoes cheap. 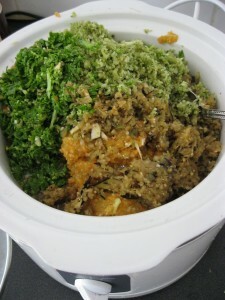 It is also a great way to use old vegetables instead of throwing them away! I get out my sauce regularly to add to bolognaise, chilli, curries, Mexican food, casseroles, my paprika chicken and many more dishes. I therefore always make it free of herbs and spices so that I can add these later to suit the dish. I am by no means an exact cook and prefer to add things by sight and taste. Therefore my tomato sauce is never exactly the same. It changes depending what I have in the fridge and garden. It makes writing a recipe hard but it means you can add your own twist to it. 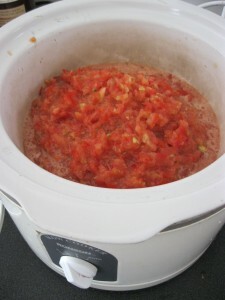 -I use a stick blender to blend all the tomatoes and vegetables and I add it all to a slow cooker. -Freeze in portions ready to use for various meals. 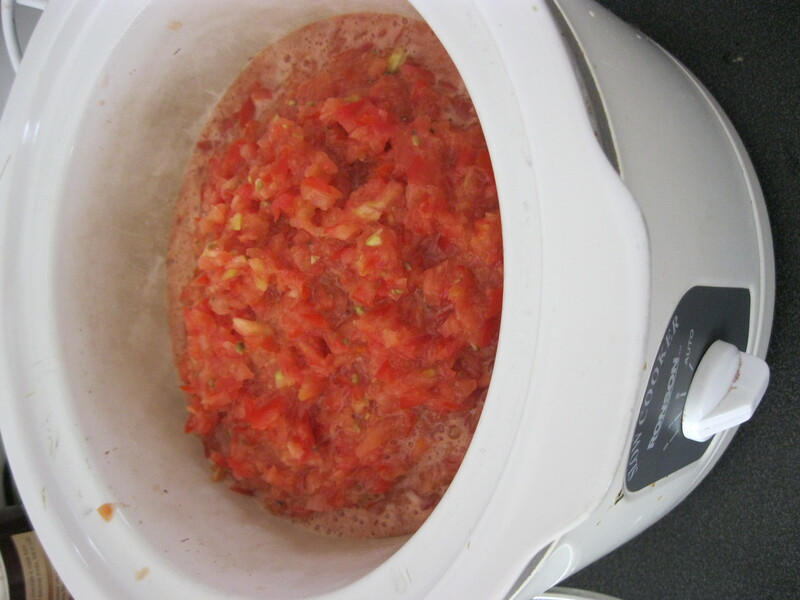 –While I prefer using fresh tomatoes, I sometimes I have used pasata or tinned tomatoes if fresh are too expensive. -If you do not have a slow cooker, you can use a pot. I just like being able to forget about it for a while. 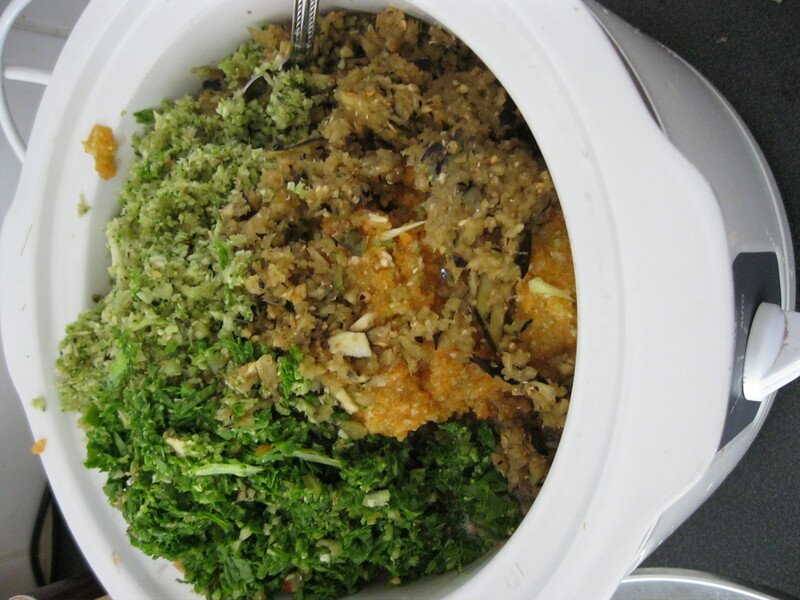 -While I know this is a great way to hide vegetables, I usually think of this sauce as giving a boost of vegetables as I usually add chunks of vegetables to my meals as well. This is because I like my son to learn to eat vegetables!